Don’t make the mistake of investing in a content management system that prevents you from managing the entire customer experience effectively. Because not all WCM systems are created equal. If you choose the wrong one, you risk being left behind in the race to deliver relevant, contextual customer experiences across all channels in real time. 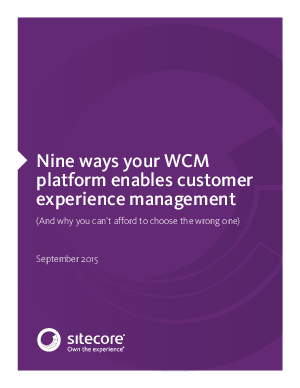 Invest in the right WCM system—download “Nine ways your WCM platform enables customer experience management” today.